Hover over areas below to see more. The Chertoff Group offers comprehensive security organization assessments; insights into geopolitical risk; security governance, policy and planning frameworks; and ongoing risk monitoring services to help clients anticipate, prepare for and build capabilities necessary to navigate today’s complex threat environment. The Chertoff Group leverages a highly differentiated approach for delivering strategic advice based on our unique understanding of the constantly-evolving risk environment, the requirements necessary to manage and measure risk and risk management programs effectively, and the solutions being developed to meet these needs in today’s marketplace. The Chertoff Group provides strategic business insight and recommendations based on state-of-the-market analysis and work side-by-side with clients to identify and engage in market opportunities and build competitive advantage. 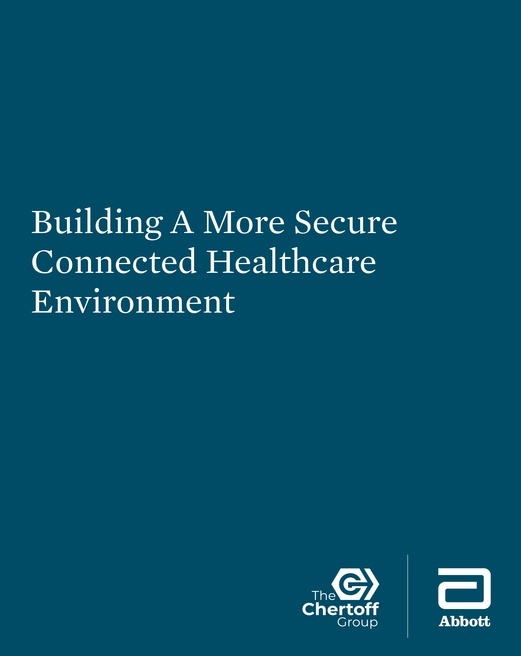 New white paper shares research findings on perceptions and awareness of medical device cybersecurity and need for collaboration to address cybersecurity challenges.